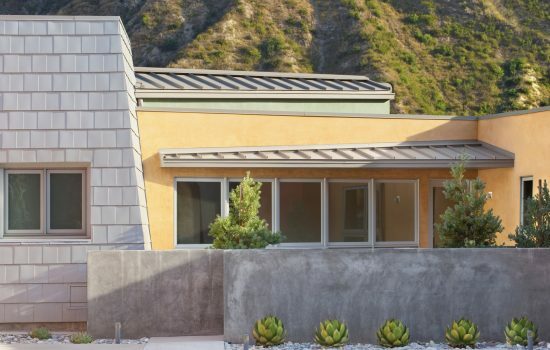 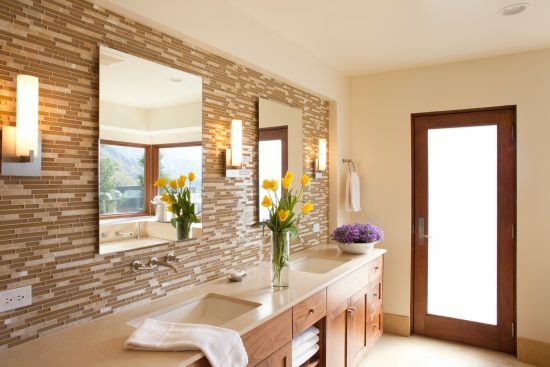 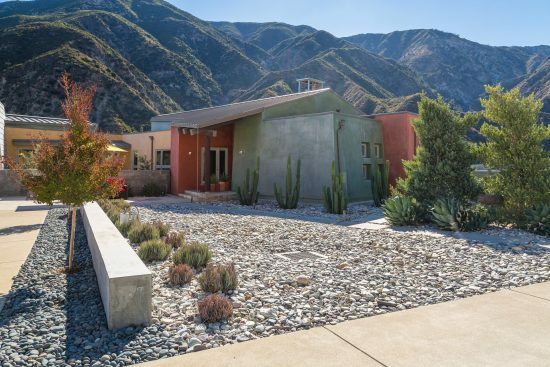 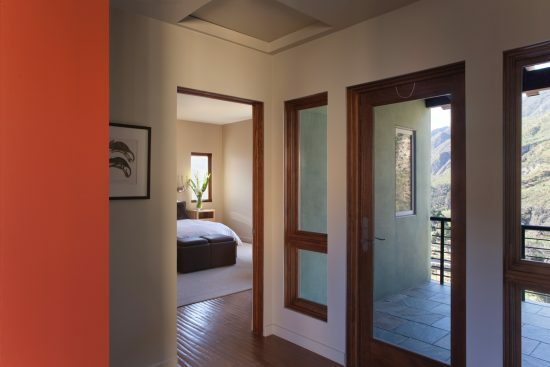 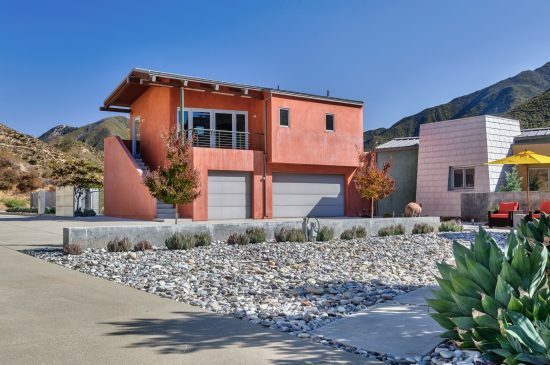 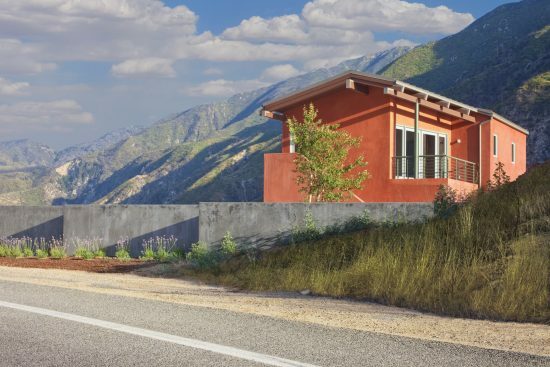 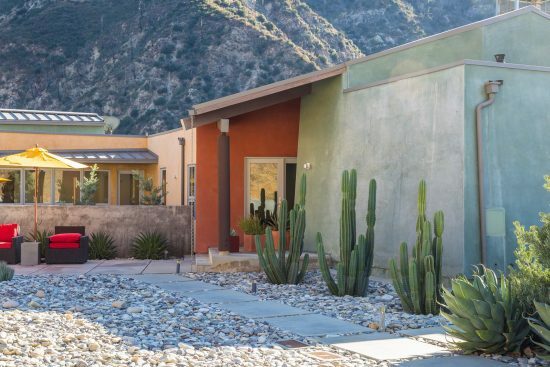 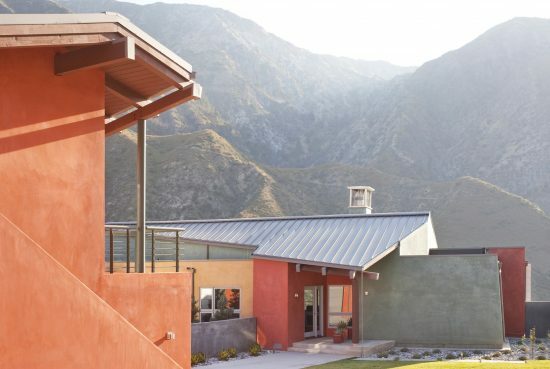 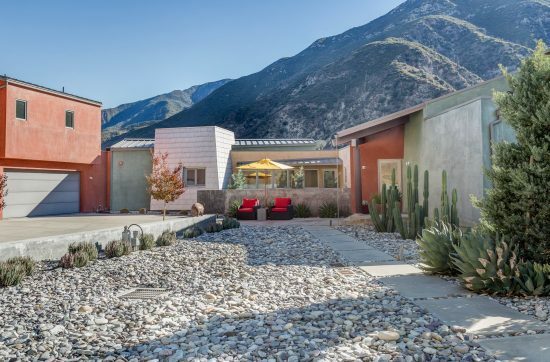 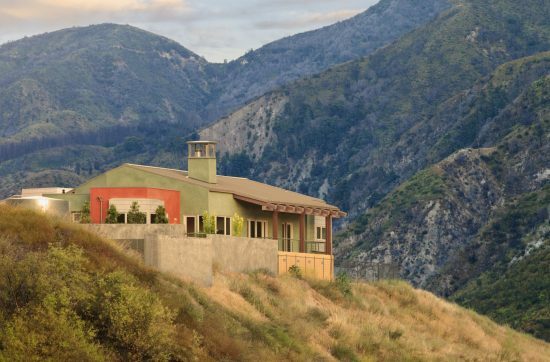 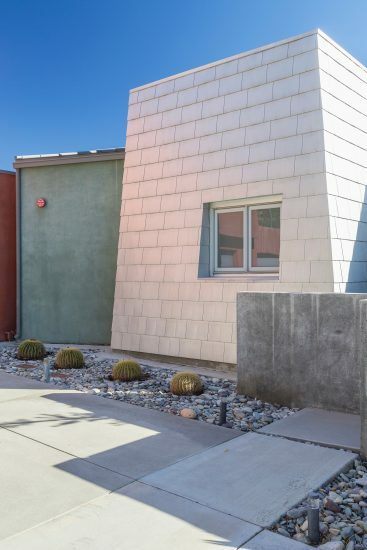 Sited on nearly four pristine acres of Angeles National Forest hills and valleys, the award-winning “Clear Creek Residence” designed by Kiyohara Moffitt Architects in 2009 is a unique home located just 25 minutes from the Burbank studios and 40 minutes to Downtown Los Angeles. 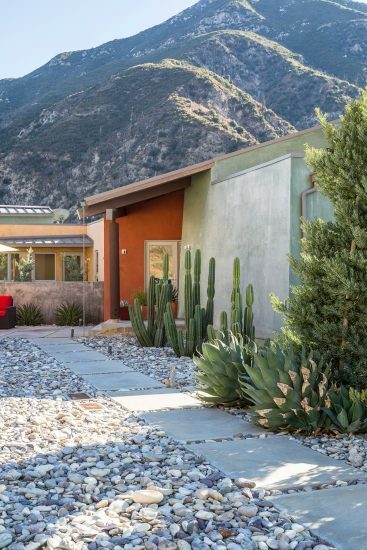 The geometry of the residential structures blend beautifully with the architecture of the thoughtful cactus, succulent and rock gardens. 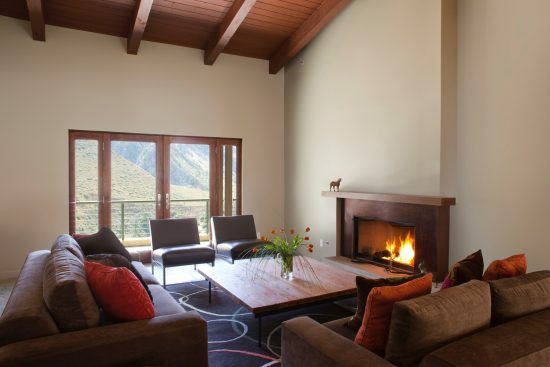 The dialogue between the two provides a sophisticated and serene experience which is unparalleled. 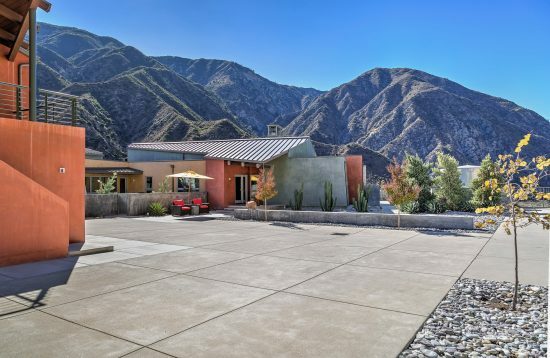 Within the completely gated and fenced property, there are commanding views from nearly every vantage point. 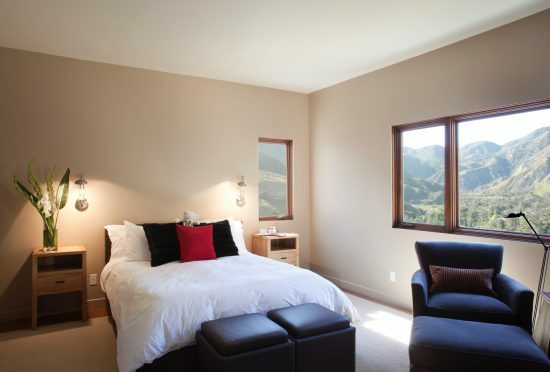 The main house, on a single level features 4 gracious bedrooms and 3 spa-like bathrooms. 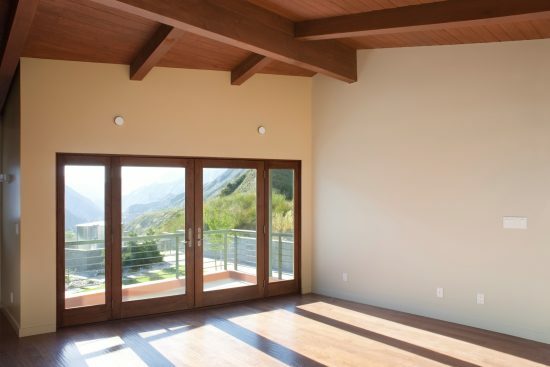 Vaulted ceilings in the living and dining room provide an expansive sense of space and light. 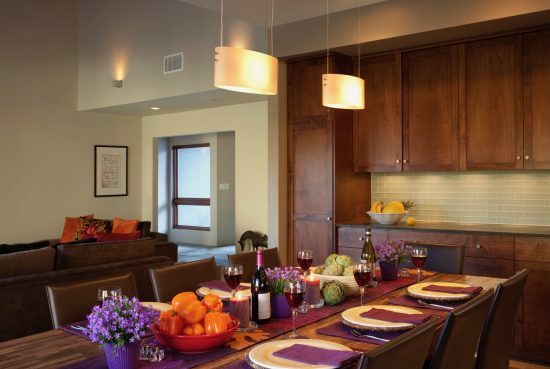 The gourmet kitchen features green oasis marble countertops, custom cabinetry and a full suite of Viking appliances. 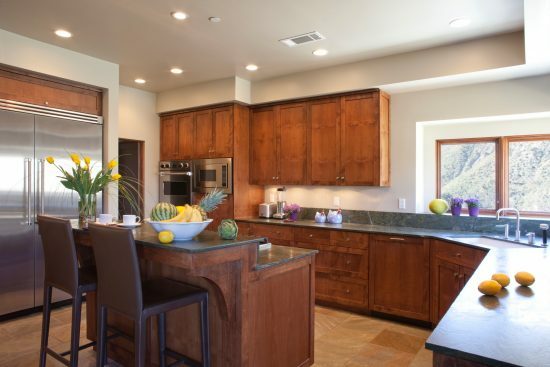 Distressed hickory hardwood and slate stone flooring are found throughout. 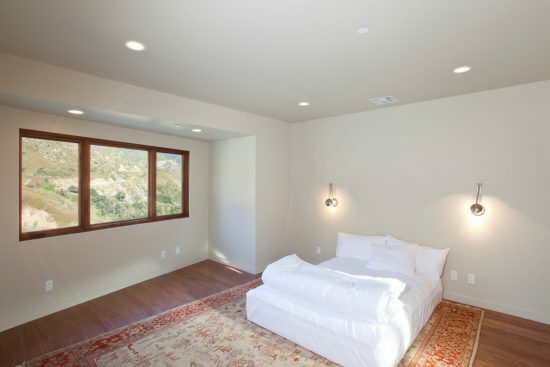 The guest house, entered from stairs along the 3 car garage, features a bedroom, bathroom and kitchenette. 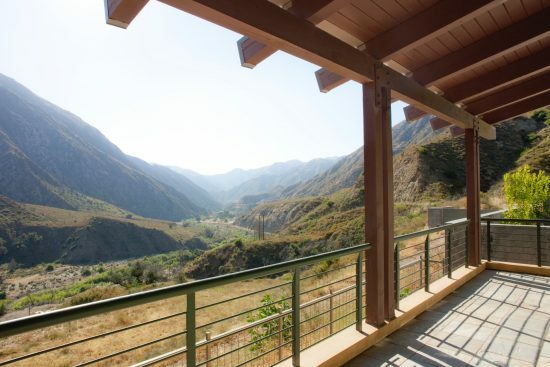 A year-round stream runs throughout the property. 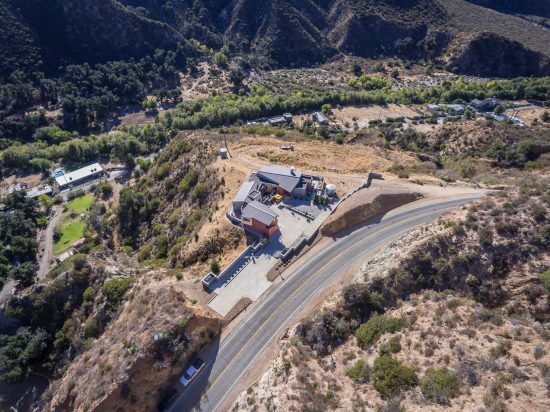 Permits have been secured for a barn, dressage arena, stalls and tack room. 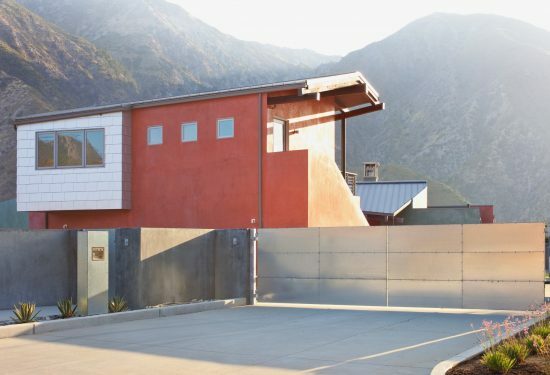 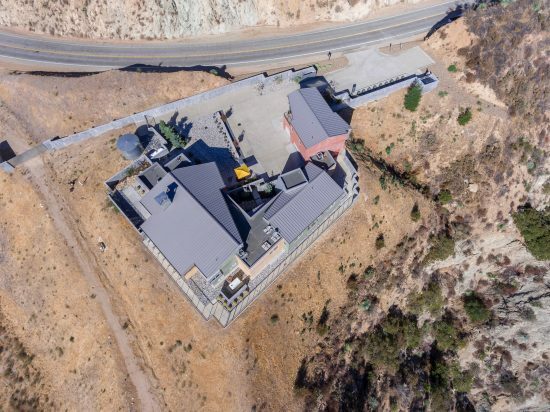 Well thought building elements include 3 HVAC units for efficient climate control, private water well and two water tanks with capacity for 13,000 gallon water storage, 25KW generator for seamless power in the event of an outage, fire retardant materials throughout house exterior and a four inch fire hydrant on the premises. 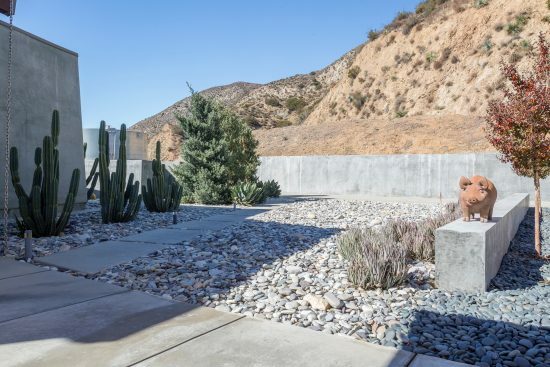 The concrete perimeter wall and buildings are structurally engineered with caissons that are tied to granite bedrock. 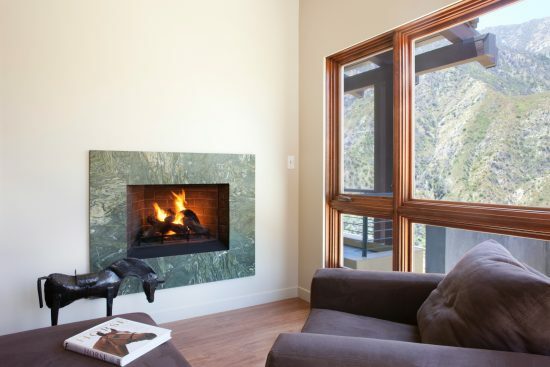 Sophisticated, private and serene, this unique property offers an extraordinary opportunity to live in luxury amidst the impeccable beauty and grandeur of the forest. 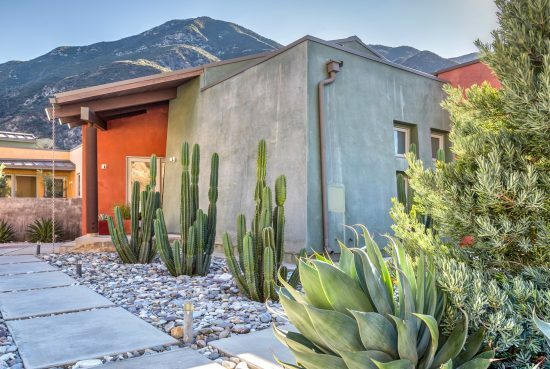 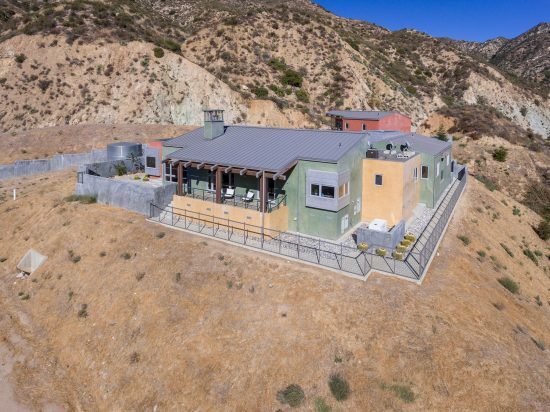 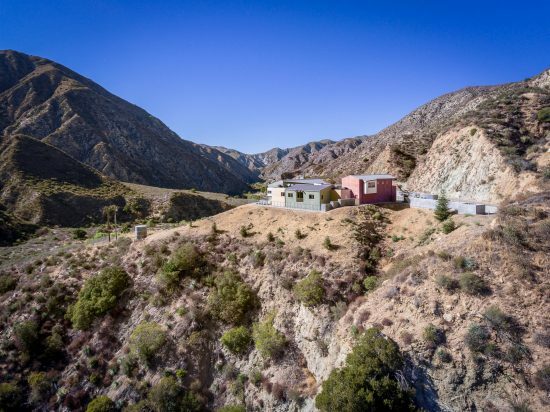 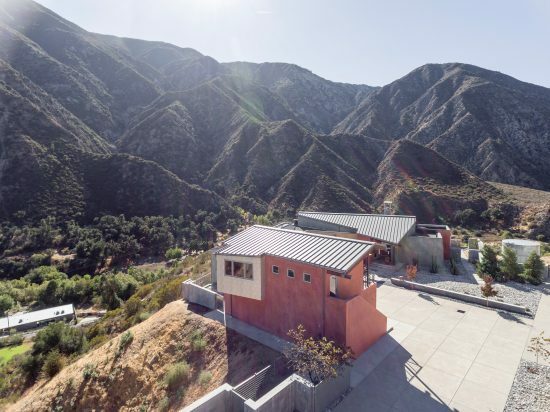 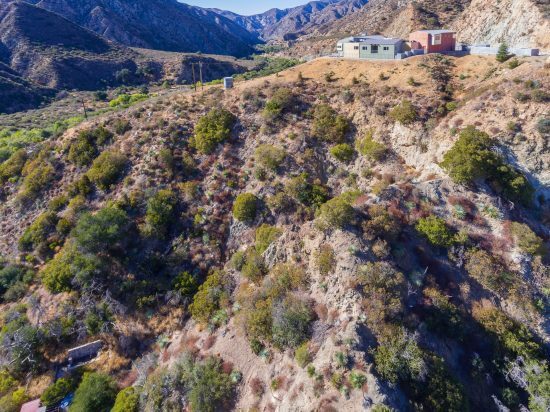 2150 Big Tujunga Canyon Road is a residential property located in Tujunga, CA. 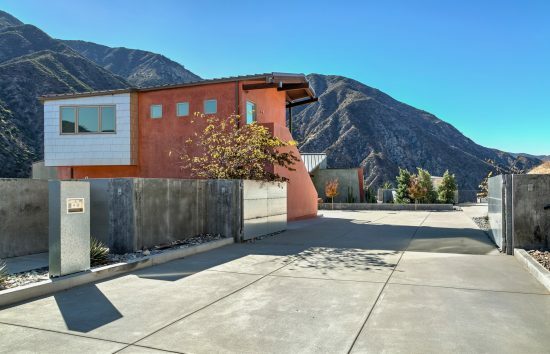 This property sits on a 175359 sqft lot, is 3640 sqft, with 5 bedrooms, 4 baths.